There seems to be something in the air about the launch of the Nokia Lumia 900 in the States that sets it apart from the release of all other handsets powered by Microsoft's mobile OS. We feel those sweet pangs of deja vu taking us back to the launch of the Motorola DROID back in November 2009 when the combination of Motorola's unique hardware (at the time) and Android 2.0 changed the face of smartphones forever. You might recall that Verizon and Motorola spent quite a lot of money getting the OG Motorola DROID off the ground. Television ads promoting the handset flooded the airwaves and who could forget the "iDon't, DROID does" spots (see video below). The reason why we bring this up almost three years later is that a report from Ad Age has surfaced saying that AT&T plans on spending as much as $150 million to promote the Nokia Lumia 900. The latter was officially launched on Easter Sunday at a price of $99.99 with a signed 2-year contract. The carrier can certainly afford it. 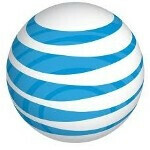 According to Kantor Media, AT&T spent $451.83 million for wireless ads alone in Q1 of 2011. To put that in comparison, during the same time period, when it was just starting to offer the CDMA version of the Apple iPhone 4, Verizon spent $227 million on wireless advertising, only $34.5 million of which was related to Apple's handset. AT&T no longer has exclusivity on the iPhone which means it must start looking for another device that brings to mind AT&T when you see it, much like the Apple iPhone did until Verizon was allowed to sell the Apple iPhone 4. Looking at it another way, just before AT&T lost its exclusivity on the Apple iPhone, in January 2011 the carrier had 24.7 million smartphone users older than 13 years old on its network versus just 17.8 million for Verizon. This past February, after a year offering the iPhone, Big Red's smartphone subscribers above the age of 13 had risen 81% to 32.2 million. AT&T's figures rose a smaller 37% to 33.8 million smartphone users as Verizon is closing the gap quickly. AdAge’s Kunal Surur thinks that AT&T is the perfect location for the Nokia Lumia 900. He says that Verizon customers are mostly Android buyers (57%) thanks to Big Red's aggressive Android promotions, and that AT&T customers are not quite taken with the green robot (just 19%). 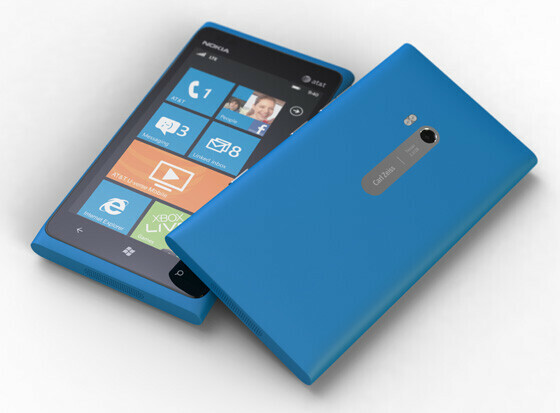 This leaves an opening for Windows Phone to catch the attention of the mobile operator's customers. Can AT&T kickstart Windows Phone like Verizon did with Android? By the time fireworks are launched to celebrate another birthday for the U.S., we should have a good idea whether or not the current two-horse OS race has added another entrant. Rather than spend $150 million to promote the phone, why not just give away 1.5 million of these phones for FREE thus saving the customer $99 per phone! That is some great marketing. Image a free Nokia Lumia 900 with a 2-year contract. But it doesn't have the largest 4G network. What point were you trying to make? I really do hope that ATT really does kickstart a windows revolution cause it would be good for the industry to have more than just 2main operating systems. Don't get your hopes up. Walk into an AT&T store and play dumb about smartphones and watch what they try to sell you .I guarantee it wont be a Lumia. Unless you specifically ask and lead yourself over to it. . I can see this actually working. By early 2013 i bet W8 phones will be seriously catching up to android with maybe 15% U.S. market share and growing. Who else wants to place some bets! my store actually sold out. but we only had 6 lumias in stock. How many is that, relative to other devices? A lot, a little, average?